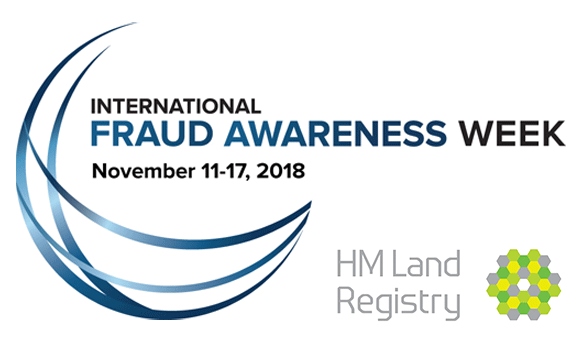 This week is International Fraud Awareness Week and my colleagues and I in HM Land Registry are supporting the global effort by publicising the threat of property fraud. HM Land Registry provides advice on how people in England and Wales can protect their property from fraud. Since 2009 we have prevented 279 fraudulent registrations with a combined property value of £133.4 million, ensuring the accuracy and integrity of our register. Property Alert is one of our most effective fraud prevention measures, sending email alerts to subscribers whenever there is significant activity on a property they are monitoring, such as a new mortgage being taken out. Since Property Alert’s launch in 2014 160,000 accounts have been created. The journey needs to continue at pace because with more than 24.8m registered properties across England and Wales, around 1 in 100 currently have an alert in place. In February 2016 we received an application to register the sale of a home to the value of £250,000. Our caseworkers did not identify the application as suspicious and registration was completed. We were then contacted by the previous registered proprietor who had discovered the property had been sold without his knowledge. He had reported the crime to the police, who contacted us for information in respect of the property sale. We provided a witness statement to assist with the prosecution. We subsequently received an application to rectify the title – in other words, to restore its registration in the name of the previous, rightful owner. Following referral to the Property Chamber Land Registration First-tier Tribunal, the application was completed in June 2017. Although the register did get back into the correct hands it had still taken more than a year to sort out. The registered proprietor had been vulnerable to fraud because they were the sole owner of the property, their address for service was out of date and the property was mortgage-free and tenanted. signing up for our free Property Alert service to monitor up to 10 properties. If you think you may have been the victim of property fraud contact our property fraud line on 0300 006 7030 (Monday to Friday, 8.30am to 5pm) or email reportafraud@landregistry.gov.uk. Not sure if when someone has there property protected by H M land registry do you have to keep looking at this site or do you get contacted automatically if there is fraud on the property.? Audrey - Where you have signed up to our Property Alert service - https://www.gov.uk/guidance/property-alert, you will get automatic email updates when there is certain activity on the property or properties you are monitoring. It is then for you to consider whether that activity could possibly be fraudulent and take the appropriate action.